The food industry has long known that three daily meals are out, and a procession of snacks from midday to midnight is in. Snacking has become a mega-trend in the food industry in recent years, forcing food companies from General Mills to McDonald’s to cater to a world that no longer revolves around three daily meals. And dogs and cats are getting in on the action. Trends in pet food are following those in human food, and so pet snacking is on the rise, companies say. “Snacking and treating are growing, especially as a way to bond with cats and dogs,” said Dave West, the head of J.M. Smucker’s Big Heart Pet Brands, at a Feb. 17 investor conference. About 68% of U.S. households own at least one pet, and that’s increasing among so-called millennials and empty nesters, he added. J.M. Smucker said earlier this month that it’s buying Big Heart, the maker of Kibbles ‘n Bits and Meow Mix, for $3.2 billion. 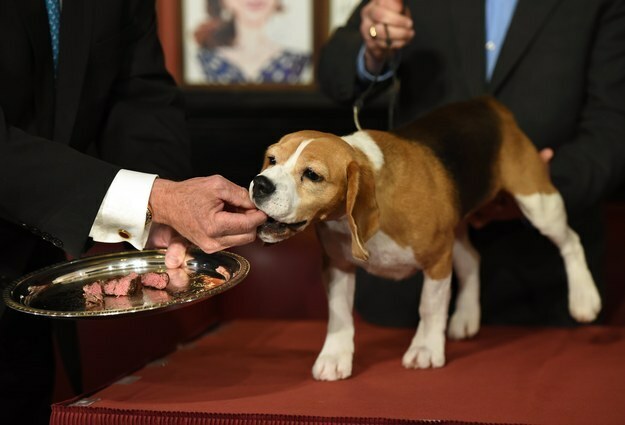 Pet snacks are an “extremely important part of this business,” a separate Smucker executive said at the conference. Snacks for dogs and cats make up almost one-third of the company’s $2.3 billion in annual sales, and that’s expected to grow, West said, especially as people buy fancier ones for their furry friends. 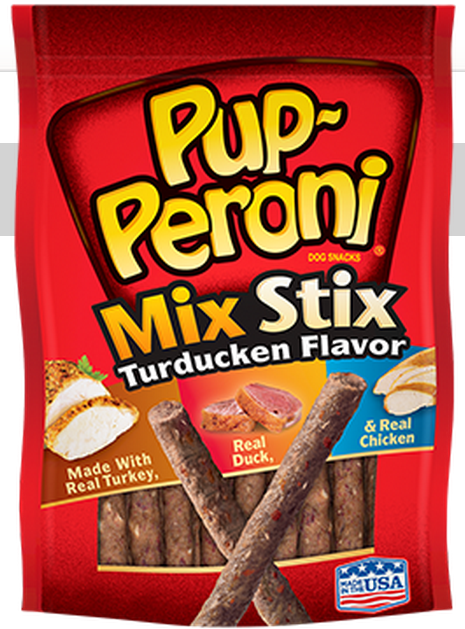 Snacks under the Milo’s Kitchen brand promise “the best” to “pet parents.” Pup-Peroni now comes in flavors such as turducken — a turkey-duck-chicken hybrid — and braised beef with sweet potato. It seems this animal instinct runs across species. Snacking for humans is a $1.2 trillion business that has historically grown about 6% a year, a Mondelez executive said at the same conference. That’s a boon for food companies, given packaged snacks tend to be more profitable than basic food staples.